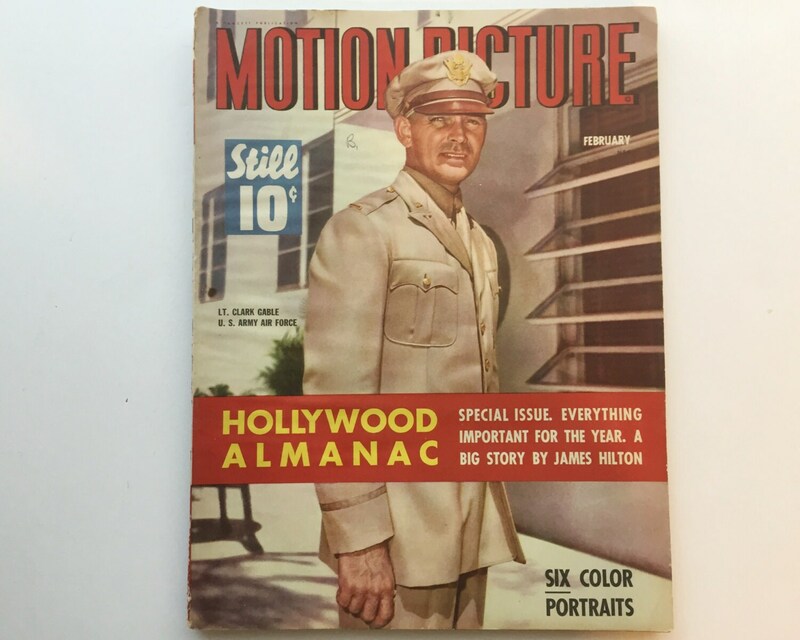 Motion Picture Magazine February 1943 - Cover Clark Gable - Vintage Movie Magazine - Wartime Issue - Gable in the Military! 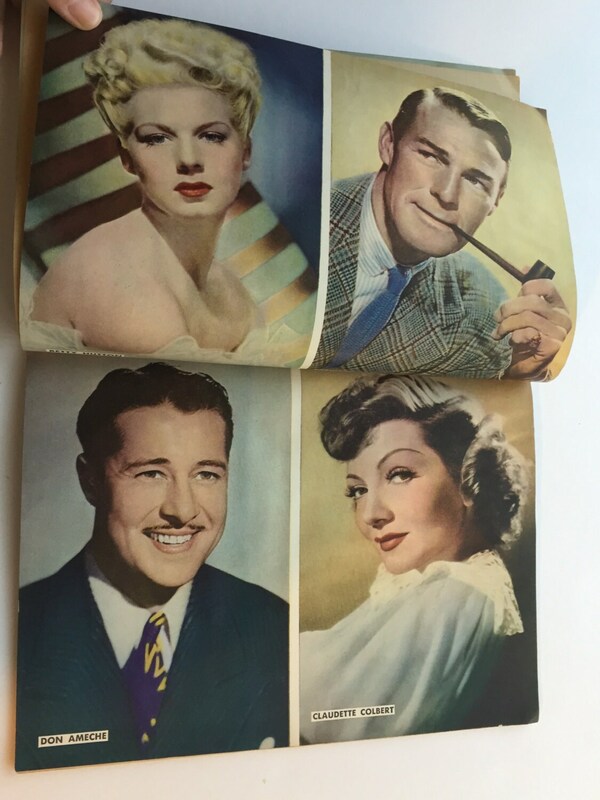 This is a dense, rich issue, and includes 6 color portraits of movie stars: Elyse Knox, Betty Hutton, Randolph Scott, Don Ameche, Claudette Colbert, and Melvyn Douglas. 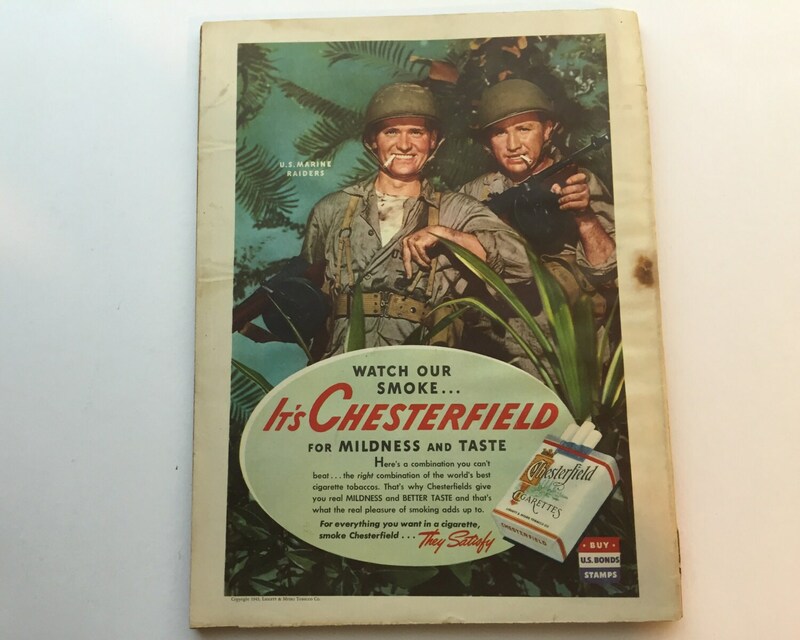 There is Clark Gable in uniform, as well as photos of Hedy Lamarr and Marilyn Dietrich. The issue is stuffed with photos, movie news, great ads, and tons of gossip. 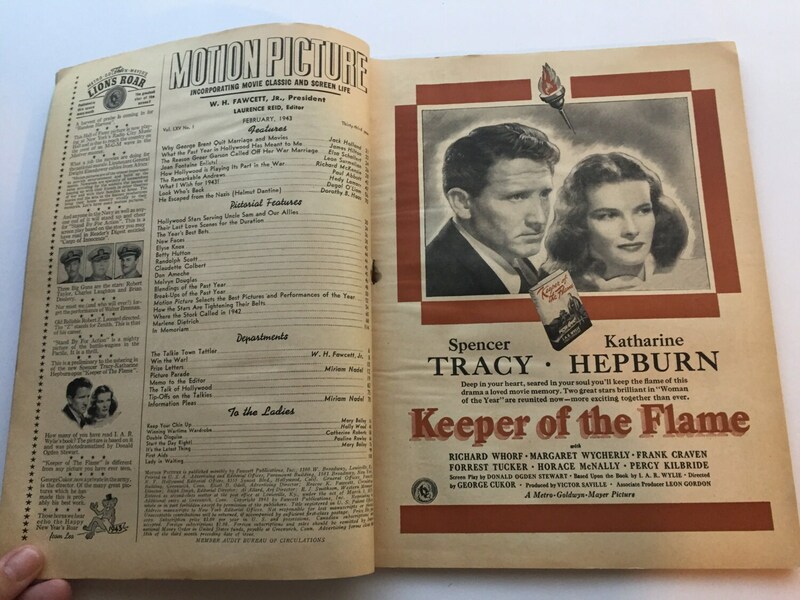 Motion Picture Magazine was the first movie fan magazine, and it ran from 1911 to 1977. It's original title was The Motion Picture Story Magazine, and renamed to Motion Picture Magazine in 1914. It started off with fiction, etc, but the name change signaled its shift iin focus to be celebrities. 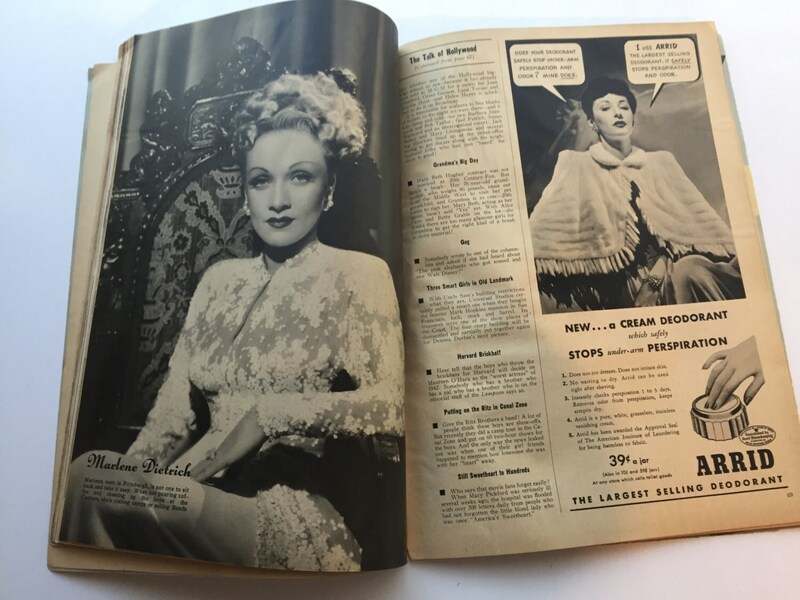 Sadly many of these classic movie magazines were mutilated for their covers and movie ads. This magazine is intact. CONDITION: Very good with some wear on the top and bottom of the spine.